It’s a fact that Filipinos love rice. We eat it 3 times a day and for many of us, one cup simply isn’t enough. BIG HELP? 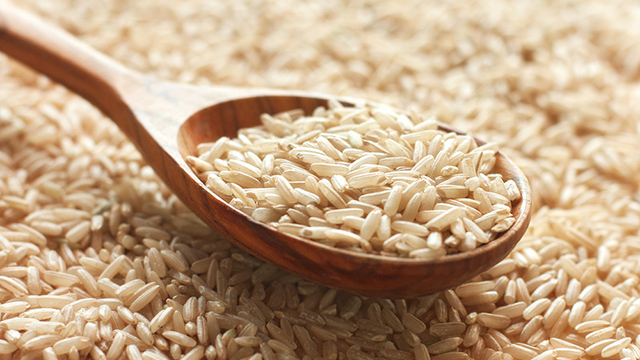 Shifting to brown rice may contribute to food security. One success of the campaigns was a resolution by the government of Quezon City “enjoining the observance of organic unpolished brown rice consumption” every Tuesday. The resolution encouraged the consumption of unpolished brown rice at the Quezon City Hall Complex, Novaliches District Center, and all city public schools and hospitals and barangays. Shifting to brown rice is also a challenge for a country with a sweet tooth. Brown rice tastes different and may be quite difficult to pair with our favorite sinigang, kare-kare, oradobo. But it only takes creativity in the kitchen and some getting used to. In a country vulnerable to climate change and its impact, brown rice will help us face the threat of food insecurity. People are starting to shift to the better rice, although gradually. Let us all be a part of this shift. Let’s give brown rice a chance to be a part of our meals and help our country better adapt to the impact of climate change.